Other sheet metal companies tend to look past the objectives of your specific project, and think only in basic, large-scale terms. Beal’s maintains open communication with customers. We work hard to solve specific problems, and meet individual goals. No matter how big or small the job, we provide cost-effective fabrication solutions from initial consultation to the delivery or installation of finished products. Beal’s is committed to maintaining flexibility, providing clients with quality products, treating them with respect, and ensuring their long-term success. For these reasons and more, we’ve grown over time to meet the expanding needs of our customer base. Our current operation consists of two efficient facilities, automated processes, state-of-the-art equipment, and sheet metal craftsmen skilled in machining, welding, and shaping various material. 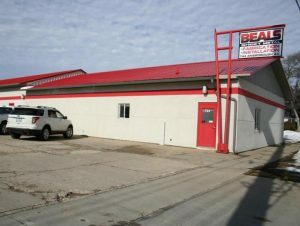 Known for our respectful and professional service to the Cedar Valley and surrounding areas, Beal’s is truly a full service sheet metal shop. From custom pieces to full production runs, we’ll take care of all your metal fabrication needs. Get in touch, and let us know how we can ease your next project forward!